A couple of weeks ago, MINIX announced their NEO C Plus USB type C adapter with 9 ports including two HDMI outputs. 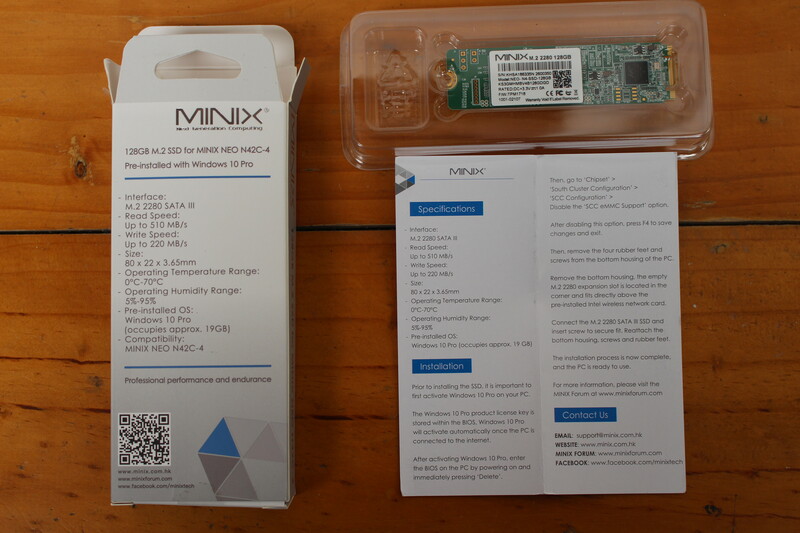 The company has now sent me samples of the adapter, as well as an M.2 SSD for MINIX NEO N42C-4 pre-loaded with Windows 10 Pro. 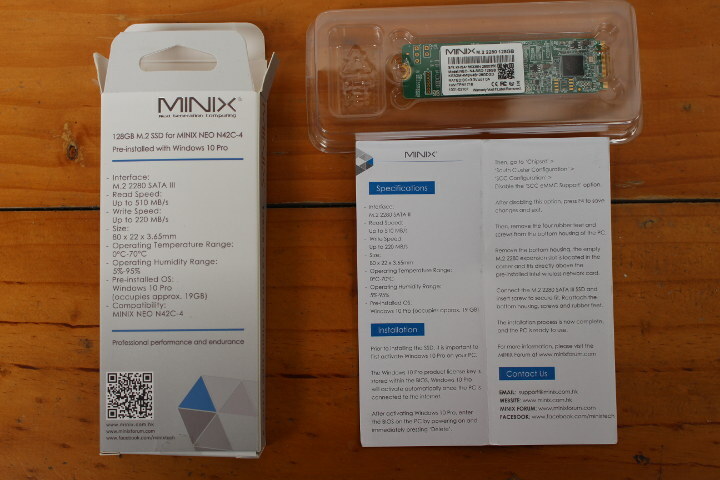 I’ll first have a look at the accessories I received before testing MINIX NEO C Plus adapter with Android 7.1 running on NanoPC-T4 board. 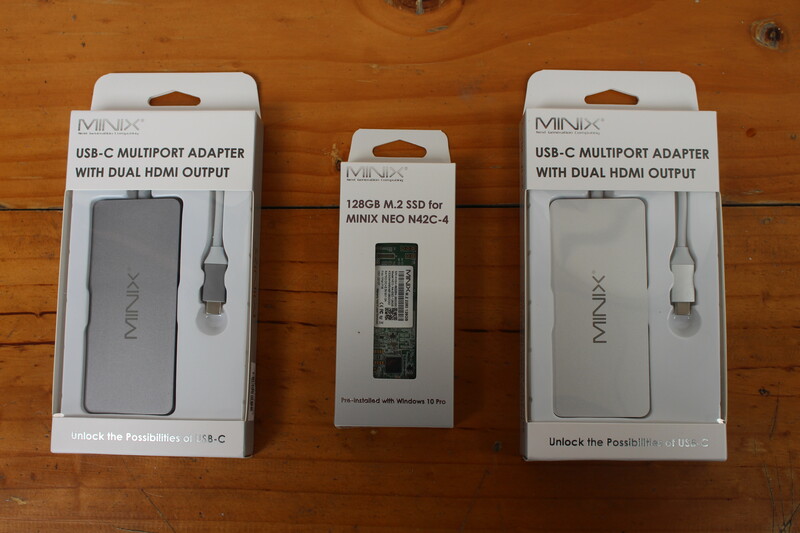 I received two USB-C multiport adapter with dual HDMI output which are identical, except for the color with one white version and a silver version, as well as a “128GB M.2 SSD for MINIX NEO N42C-4”. The USB-C adapter comes with a bilingual English-German user manual. The third point means should you connect a USB 3.0 hard drive to the adapter make sure it can be powered by an external power adapter. The M.2 SSD is interesting as it’s mostly designed to make it easier to run Windows 10 Pro from SSD, which will give both more storage capacity and better performance compared to what you’d get with the 32GB eMMC flash fitted in the PC. I was not able to try it out since I don’t own the device anymore. 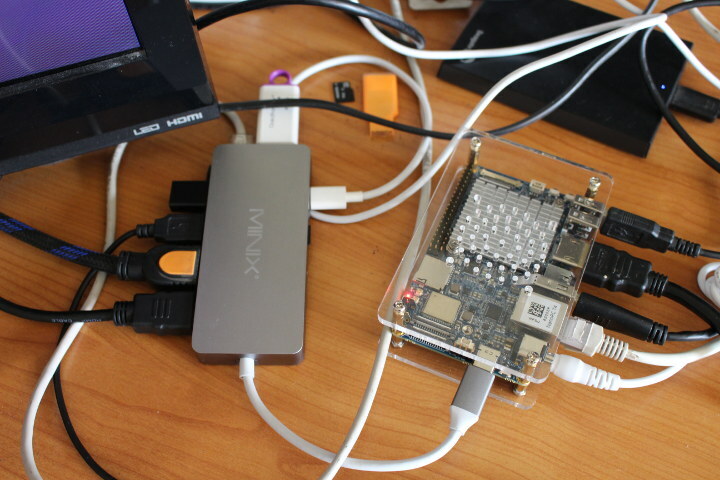 While I don’t own any Apple MacBook, I still tested the USB-C adapter with a board that comes with a USB-C port supporting DisplayPort Alternate mode: NanoPC-T4. Both storage devices could be detected in Android 7.1, and both the mouse and air mouse could be used, although for the latter not always smoothly. However, I could not connect through the Ethernet port in Android, as I don’t think USB to Ethernet dongle are supported by the firmware. Dual HDMI worked well, sort of. I could mirror the two displays connected to the USB-C adapter, but when I did so the display connected directly to the HDMI port of the board would go off. 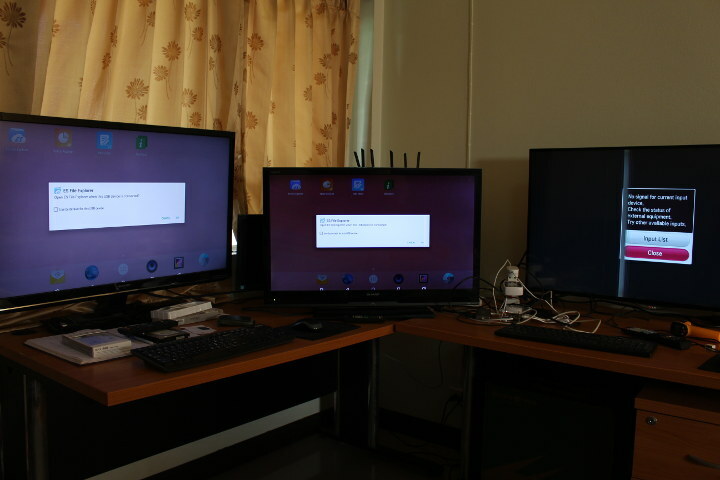 So I was not able to get a triple display setup. So what happened is when I disconnect and connect the HDMI port on the board, the right display would show, but the two display would go dark, while disconnecting and reconnecting the USB-C port would bring up the two displays, but disable the signal from the HDMI port on NanoPC-T4 board. That has nothing to do with the adapter, and it’s either a hardware limitation for NanoPC-T4, or some firmware / configuration issues. You can also check out my little tests in the video below. 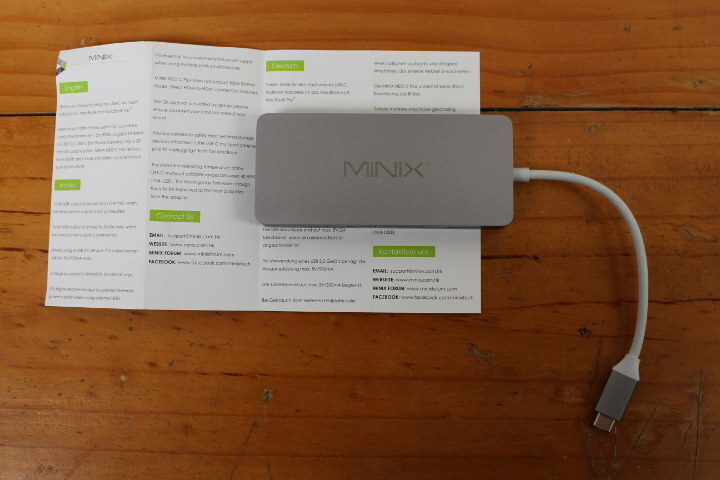 MINIX NEO C Plus USB type-C adapter can be purchased for $69.99 on Amazon.